A game that I have enjoyed in the casino from time to time is the WMS slot machine Lancelot, it has a look of the Realm of Riches 2 slot, but is from the G+ 5x4 series, so actually plays more like the Mayan Sun slot. It is based on the old English tales of King Arthur and the Knights of the Round Table. Lancelot was the most highly regarded of the King’s Knights, which explains why he has games like this one made in his honor today. 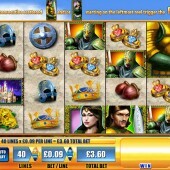 The Lancelot slot has been released online through casino sites supporting WMS software. Unfortunately these cannot be accessed by US players just now due to federal laws related to online gambling. 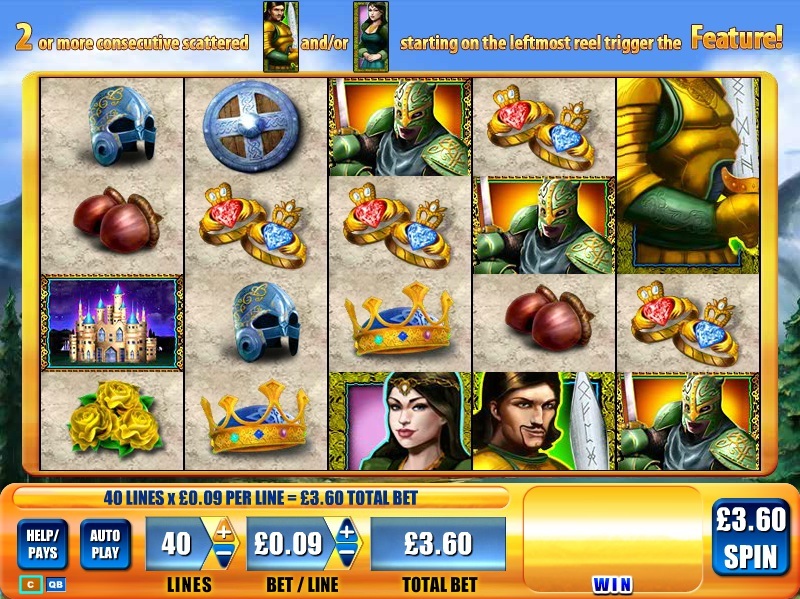 The online version of Lancelot is very similar to the land based slot machine. There are stacked Lancelot and Guinevere symbols in all reels. These act as both as stacked wilds and also as the trigger for the bonus round. You only need to see a minimum of two wilds on consecutive reels from the far left to activate 5 free spins. If you get more wilds on consecutive reels then you will be awarded more free spins. This also has a habit of retriggering during the bonus round. The frequency of the bonus does make up for the fact that the game is a little bit boring. It doesn’t have the action of say the Hot Hot Super Respin slot Griffins Gate or even the Big Bass Bucks version of Reel ‘em in.